Introducing a new feature, a monthly "Origami Page". 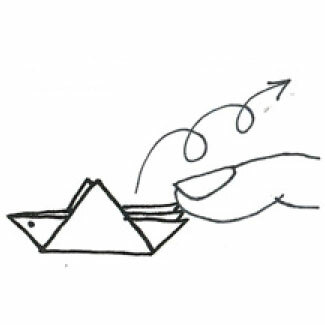 Origami is folding paper and ending up with delightful figures and models, such as flowers, boxes and animals. This feature will showcase a different origami model in each monthly issue, with diagrams and photos to help readers learn how to fold them. Most models use one square of paper, some use a rectangle, and others use more than one piece of paper. 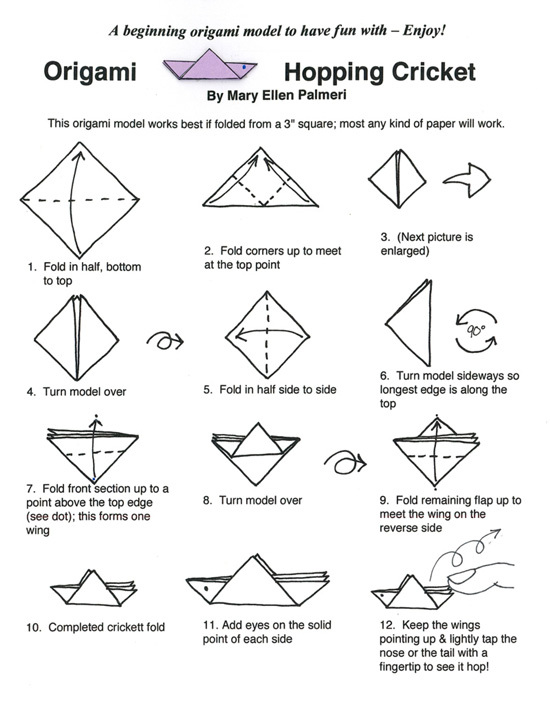 This month's selection: "Origami Hopping Cricket" - a fun model for all ages! Create games with your crickets: see how many tries it takes to hop your cricket into a small cup; fold several crickets and have cricket races; or create your own games!